Here you can find details of the cameras I use to create the images on this website. 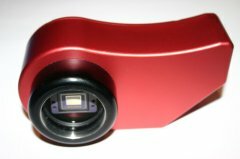 The Atik 16 range of cameras is descended from the Artemis range of kit cameras. This 16HR is identical to the Artemis 285, named for the image sensor (CCD) visible in the front of the camera in this picture, the Sony ICX285AL. It is a very sensitive black-and-white sensor, giving the camera a resolution of 1392x1040 pixels. Images produced are 16-bit, giving high quality, and the sensor has very low noise and low numbers of hot pixels, which all lead to high quality too. The field of view is smaller than that from the DSLR below, but pretty large compared to other astro CCD cameras of its generation, and to the modified webcams I was using. This camera is used with the Atik Filter Wheel. I use Astronomik LRGB filters, or my Baader Hydrogen Alpha filter. The monochrome images must be combined into colour ones using an LRGB process. Click the picture to see the full-sized image. 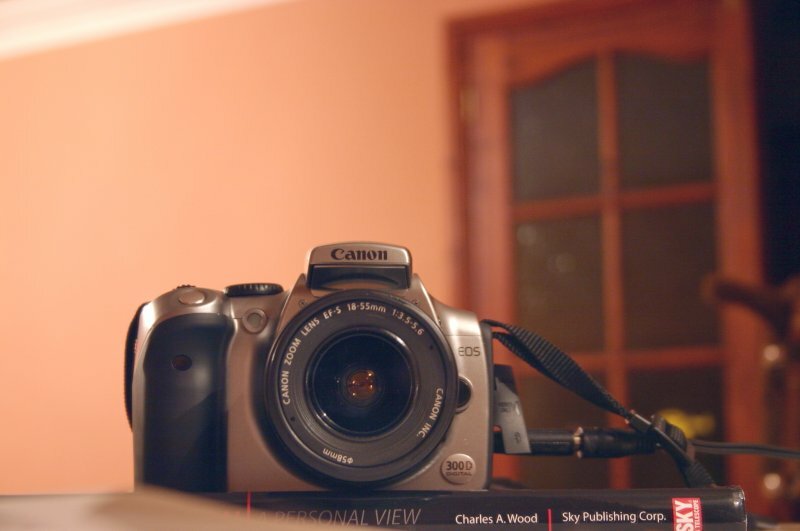 This is a good-quality digital SLR camera from Canon, which can be used for standard (daylight) pictures as well as astronomy imaging. It has a 6-megapixel sensor which, although smaller than a 35mm film frame, can still give a very large field-of-view resulting in some spectacular pictures. The camera can manage 30 second exposures using its built-in programs, or any exposure time in "bulb" mode, during which the shutter is controlled with a hand controller I built following Chantal Currid's plans here. The Philips ToUcam pro model PCVC740K has a sensitive CCD light sensor and is currently regarded as about the best so far for astronomical imaging (along with its successor the ToUcam pro II model PCVC840K which is internally identical, and I believe the Logitech QuickCam Pro 3000/4000 models). I use it for lunar and planetary imaging. 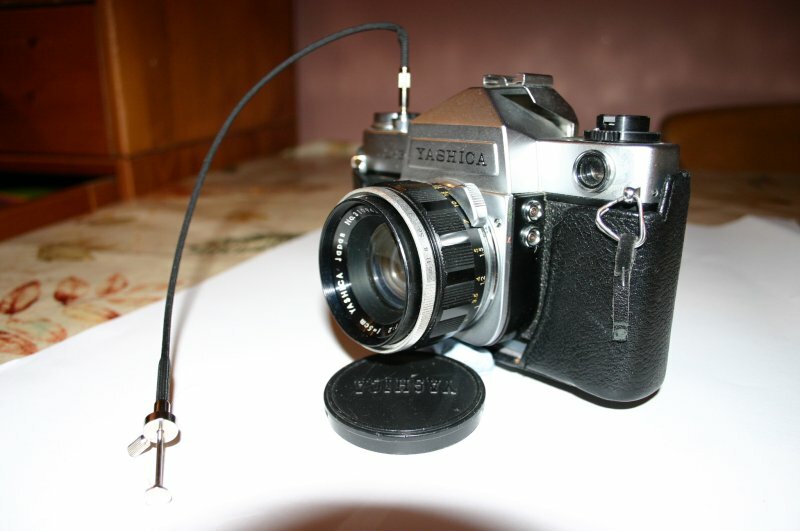 I obtained this model through E-Bay and it is shown here with a metal adapter screwed in place of the normal wide-angle lens on the front of the camera body. 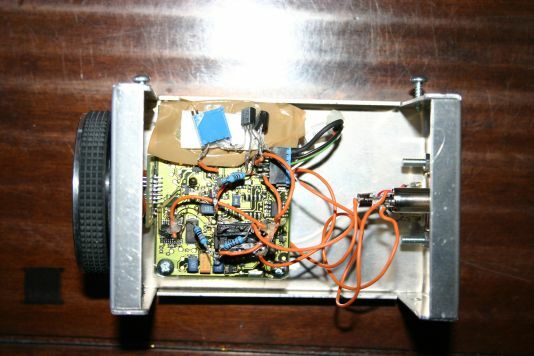 The adapter was purchased from AstroParts, although various other sources exist. This webcam has been modified to the SC3 standard, which means that in addition to the long exposure capability that the QC3000 SC1 above has, it also has had a replacement CCD sensor fitted. The replacement chip (Sony ICX424) is larger and much more sensitive than the original one. Additionally, this CCD is a monochrome (black and white) sensor, which means it can be used with coloured filters to create high-quality RGB or LRGB composed images. 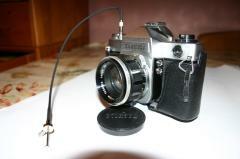 The camera is shown here with a 50mm SLR lens attached, via an M42 ring screwed to the front of the camera's case. 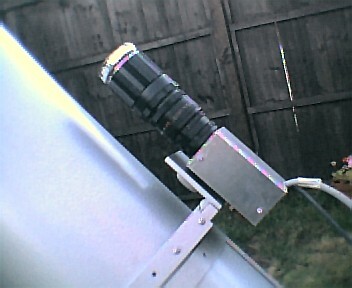 It can be attached to a telescope via a "T2" adapter ring. Inside the Vesta SC3 Here you can see inside the camera. You can see the dead bug" construction of the long-exposure modification piggy-backed on the lower part of the circuit board, and the components for the Greg Beeke amp-off modification stuck to a sticky pad on the upper part of the circuit board. This Logitech Quickcam pro was modified to the SC1 standard using the instructions on Martin Burri's and Keith Wiley's websites (links on my LINKS PAGE. Although less sensitive than the Vesta SC3 camera, this camera has the advantage of being able to make colour long-exposure images in one go since the CCD image sensor is colour. However, I no longer use it since it has been found to be incompatible with my latest Laptop computer. The picture here shows the camera mounted in "piggy-back" fashion on my old 200mm Astro Systems telescope (see Telescopes, with a solar filter as used to capture sunspots and the 2004 Venus Transit. Yashica 35mm SLR I use this camera to take pictures the "old-fashioned" way - on 35mm film. The camera was donated by a family member and is a fully-manual type of camera, making it ideally suited to astrophotography, because the camera doesn't try to be too clever when faced with low light conditions (ie. the night sky!) nor will the batteries run out in the middle of a long exposure and ruin it. This camera has an M42 screw lens mount which can sometimes be a little awkward when changing lenses in the dark, but is very convenient because many lenses are available cheaply and I can share them with my long-exposure webcams, which have been fitted with an M42 screw adapter. 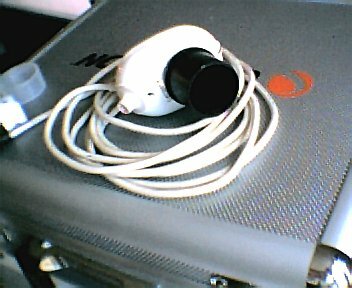 This is the Aiptek Pencam VGA, which I used for my first attempts at astronomical imaging. 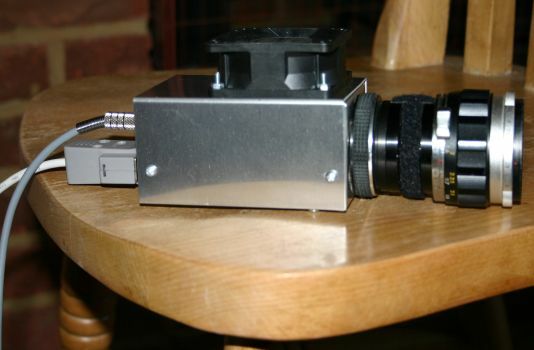 This camera has been converted for astronomical use by the removal of the built-in lens and the addition of a 35mm film cannister with a hole cut in the bottom. Fortuitously this type of plastic container fits perfectly in a 1.25" telescope focusser and is much used by webcam-imagers where a more permanent or sturdy adapter is not available. The cannister is fastened to the camera using sticky tape! 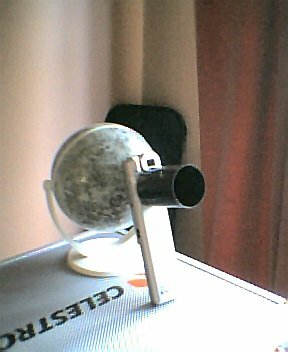 This camera was used to take my 6 September Moon image. I was very pleased with this, my first astronomical picture, but unfortunately this camera has a CMOS type of light sensor and is consequently not sensitive enough for most astronomical imaging.